We’ve helped home and home offices workers all over Cambridge, including students, teachers and families with all manner of computer related problems, and have yet to come up against something that we’ve been unable to fix. Whilst we usually visit our customers, we’re also happy for you to drop off/collect your equipment if its more convenient, and we’re sometimes able to collect your equipment from your home or place of work if that makes it easier for you. We’re able to help with any computer problems, but are also able to repair or help setup mobile devices (Apple, Nokia, Blackberry or Andriod), games consoles, scanners, cameras, printers and much more. We can provide basic training for a wide range of software products including the Microsoft Office suite of products (Excel, PowerPoint, Word, Publisher and Outlook), Microsoft Windows operating system, Apple Macintosh systems and much more. Our training is provided one-on-one in the comfort of your own home and using your computer systems, and will be as fast or slow paced as is required to ensure that you gain the most from your training sessions. Training notes are provided after your training and will cover each of the main points discussed. One of the most common tasks that we complete is virus removal. With the best intentions in the world, the right software, regular maintenance and careful computer use, it’s still amazingly easy to fall foul from a threat from the internet, which have all sorts of funny names including; viruses, worms, Trojan horses, malware, spyware and spam. Threats can effect your computer in a number of ways, including even stopping your computer from starting up, blocking internet access, deleting files, stopping applications from working, and even more serious problems like data or identity theft. If you have a virus or similar threat on your computer, we can help to remove it and also help to prevent it from happening again. We’re often asked to recommend and specify new computer systems for our customers. 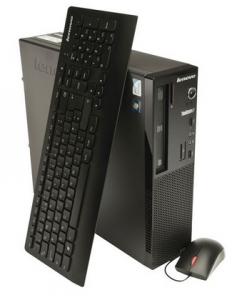 Over the years we have used all types of systems including Dell, HP, Compaq, Samsung, Acer, Apple, Asus and many more, however for a number of reasons, we don’t think you can go wrong with Lenovo equipment. Get in touch for advice, quick and no-obligation quotations or to book an appointment.